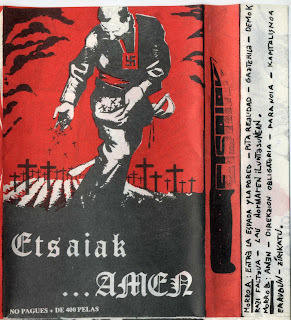 Etsaiak is band from Basque Country formed in 1987 and still alive and kicking,they sing in basque language and play HC Punk,powerful and fast music with some straight to your face lyrics! This is their 2nd demo totally diy,it has a folded colour cover reporting info,contacts and lyrics. 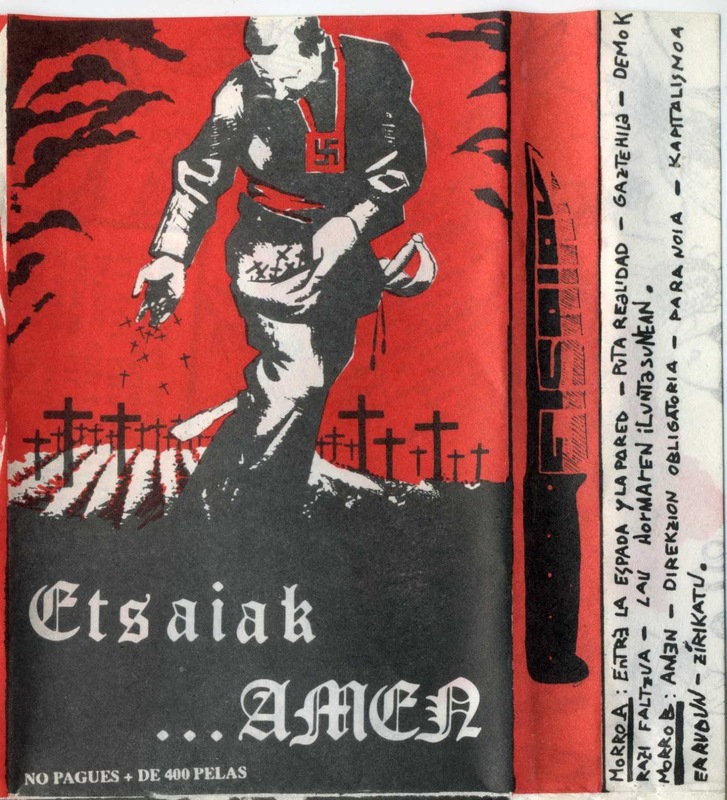 A wikipedia page about them is here all written in basque language,their "myspace" page is here,where you can see pics and listen lots of tracks and a discogs page is here.